The Reds are five points off second-placed United after losing 2-1 to their bitter rivals on Saturday as a result of substandard defending which allowed Marcus Rashford to score a brace inside half-an-hour. Liverpool responded well and eventually halved the deficit through Eric Bailly’s second-half own goal, but could not muster enough to claim a point, suffering just a second defeat in 21 top-flight outings. And Klopp insists the Merseyside outfit cannot afford for the setback to derail their growing momentum, having progressed to the Champions League quarter-finals last week in addition to their top-four hopes. He told Liverpool’s official website: “We have to respond, 100 per-cent. But in the moment I cannot, and I don’t want to, think about anything else. Dejan Lovren came in for particular criticism for his failed attempts to challenge Romelu Lukaku in the air for both goals, but Klopp believes the entire team must share the blame for their defensive display. “The mistakes were obvious,” he acknowledged. “Around the second balls we were not there and we cannot leave Dejan alone in the challenge there and nobody’s around for the second ball. It doesn’t work like this. “Romelu Lukaku is strong in these challenges, so if you cannot avoid the long ball then you have to be there to help your mate for the second ball. The Reds boss felt that his side were deserving of more for their response after going 2-0 down in just 24 minutes. “We don’t ignore the goals we conceded, but if you ignore them for a second you would say, ‘OK, that’s how you have to play’. “Don’t take too much risk, you pass, you come around the touchline, you have the crosses, you have the set-pieces, you have the finishes from distance, 18 yards, all these things. “We had these things in pretty much all moments, but we didn’t score. “Because we put pressure on ourselves obviously, that is not helpful for your confidence if you are 2-0 down at Manchester. 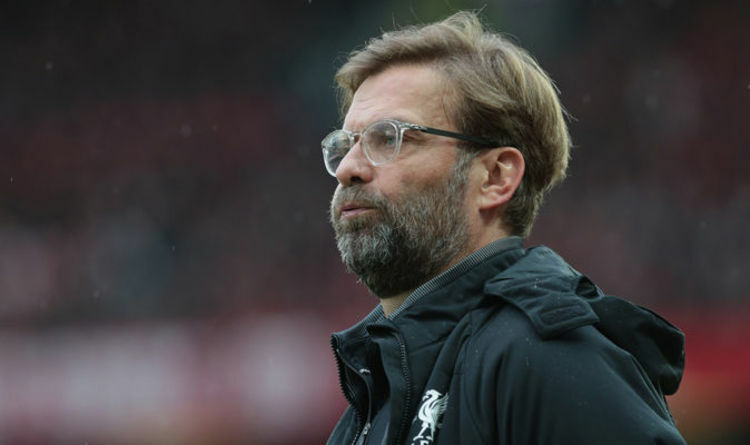 Klopp bemoaned referee Craig Pawson’s decision-making at Old Trafford but admitted their mistakes meant they cannot complain too much about the full-time result. “I think we deserved the goal and then it was the situation with the best piece of football in the whole game, the one-two between Roberto and Sadio and a clear foul and no penalty,” he said. “That’s hard, but we are not able to change it anymore. “I think with all the minutes around the two goals we conceded then a draw would have been deserved for us, but because we made these two mistakes we have to take the result like it is.